For all of Lou Gehrig's remarkable batting achievements, he will always be best remembered for his 2,130- consecutive game streak, accounting for his hallowed "Iron Horse" nickname. 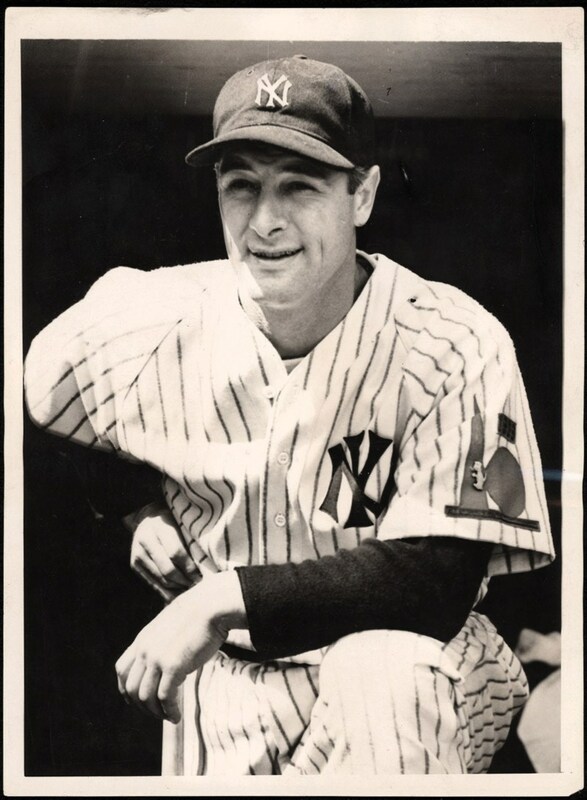 On May 31, 1938, Gehrig would play in his 2,000th consecutive game as the Yankees bested the Boston Red Sox by a 12-5 score at Yankee Stadium. 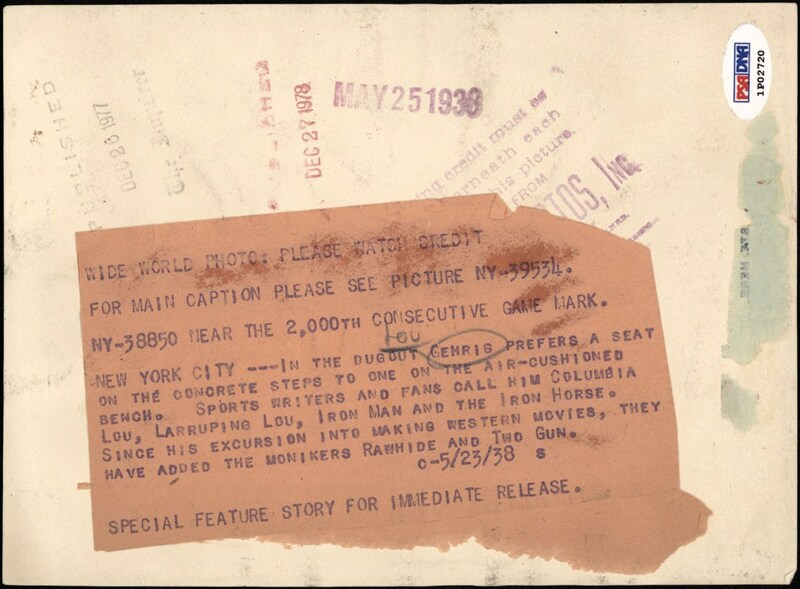 This spectacular Lou Gehrig PSA Type 1 photo portrays "Larruping Lou" in a classic "kneeling on one knee/leaning on bat" pose on the concrete steps of the Yankee Stadium dugout, only a few games away from playing in that prestigious 2,000th consecutive game. 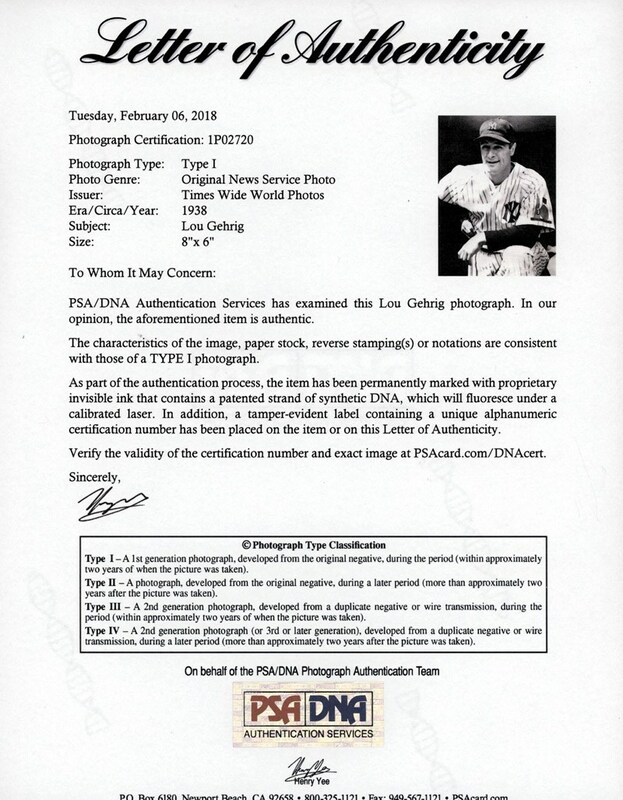 Lou's stoic pose literally transcends time as the crystal clear "Iron Man" image exhibits a good-natured smile, donning his distinguished Yankee pinstripes and centered between four relatively clean white borders.